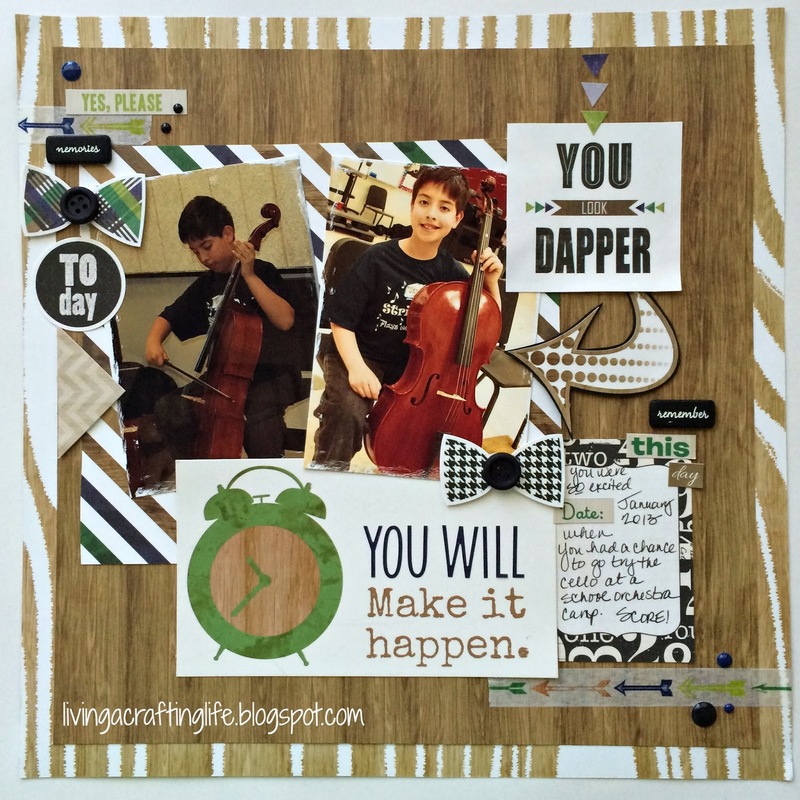 Using the Dapper Dan collection by Glitz pushed my creativity this month, since it is a more masculine theme. This scrapbook process video shows my process for single page layout using Dapper Dan without using a sketch. I challenged myself to use more embellishments and stickers than I normally do, and also to find a couple items from my stash to add to the layout. I think my son looks extra "dapper" on this page! Look for another YouTube video soon that will share all my layouts (and a bonus card) that I was able to complete with the Dapper Dan kit from The Memory Nest. If you like this collection, head over to The Memory Nest where the kit and matching washi tape are on sale for this month!